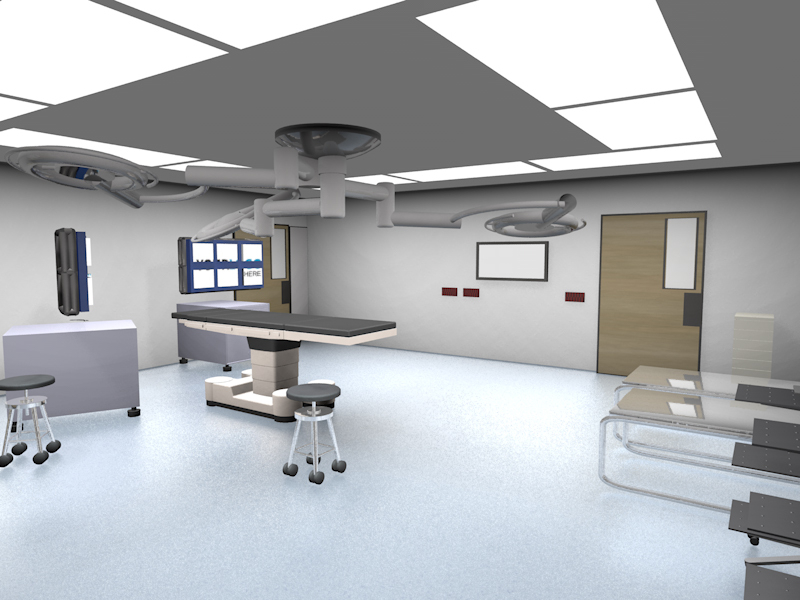 3D design based on site visit, rough model for use in animation about brain surgery. This is a model that would be used as the setting for showing the steps in an operation and highlight the easy or difficulty of certain procedures and movements. This short turnaround project required a fast research phase including a site visit. It also needed organization and a style that could be revised and re-rendered quickly.